Jack Stuster was born in Brooklyn, New York, in 1925 and moved to California in 1941. 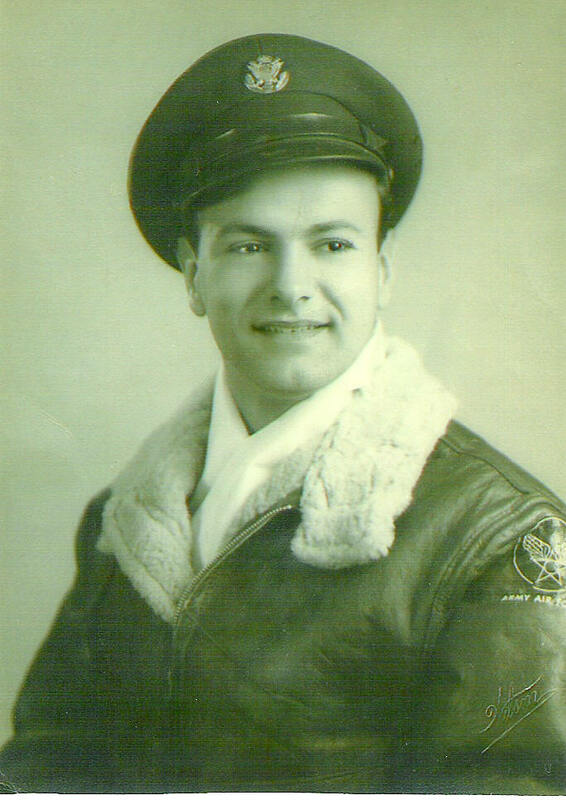 He volunteered for the Army Air Corps in the Fall of 1943 while attending Huntington Park High School, because he had always loved airplanes (and still does), and reported for duty at Fort MacArthur, San Pedro, after graduating with the winter class in March 1944. He was sent to Amarillo, Texas, for basic training and wanted to be a pilot, but many others were in the pipeline ahead of him, so he selected radio operator/gunner as a second choice, hoping to fly. Jack was sent to Truax Field, Wisconsin, for radio school and then to Chanute Air Base, Illinois, for electronics training, and then to Boca Raton, Florida, for radar training, where he specialized in the radar developed for the new Northrop P-61 Black Widow nightfighters, which was the most technically-advanced aircraft of its day. After a year of training, Jack was assigned to the P-61 base at Hammer Field, Fresno. The war in Europe ended in May 1945, and then two atomic bombs were dropped in August ending the war in the Pacific abruptly. Now a 20-year-old staff sergeant, Jack was transferred to Pine Castle Air Force Base, Florida, where he helped maintain radios on the P-51 Mustang and P-47 Thunderbolt fighters. He was discharged from the service at Fort McPherson, Georgia, married a girl he had met on a train returning from a weekend in Chicago to Truax Field, and returned to California to begin a family. Jack’s Long Beach reserve unit was recalled for the Korean War, and he reported for duty at Hamilton Air Force Base, California, in August 1950. He was then sent to Wright-Patterson AFB, Ohio, for advanced training and experience with the new, jet-powered nightfighter, the Northrop F-89 Scorpion. He returned to Hamilton AFB briefly and then flew to Tokyo and reported to Johnson AFB where he was assigned to the 339th Nightfighter Squadron, which flew the F-82 Twin Mustangs and later the Lockheed F-94 Starfire jets. Jack returned to the US in August 1951 and resumed life as a civilian, becoming a tool and die maker and eventually owning his own business. Jack, a life-long Dodger fan who is known for his kindness and generosity, now resides in Lakewood where he plays pool daily with other veterans at the Weingart Senior Center.